Are You New to Futures Trading? Do You Need Assistance with Your Futures Trading? Would You Like Futures Trade Recommendations? then our Traders Advantage account plan is for you! As a Traders Advantage client, your personal broker will personally assist you with general futures education, develop futures and options trading strategies, execute your trades and monitor your futures trading account. Special, reduced day-trade margin requirements. Free subscription to to the VR2100 Trade Alerts System – a $1,000/month service. Personal assistance from a licensed futures broker, via phone or email. Discounts on our Firetip/InsigniaTrader Pro platform fee and for bank wire transfer and over-night check delivery fees. Traders Advantage provides clients with the tools, education and training to become a better informed futures trader. It also allows you the opportunity to discuss your trade ideas with licensed futures broker and former commodity trading advisor (CTA), Joe Fallico. 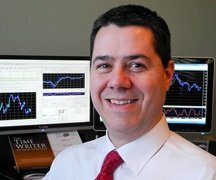 Joe Fallico, the principal futures trader at Insignia Futures & Options, is a commodities broker with over 25 years of experience. He is both Series 3 and Series 30 registered and is the author of the futures options trading strategy book, The Time Writer Option Strategy. Traders Advantage provides clients with the tools, education and training to become a better informed futures trader. It also allows you the opportunity to discuss your futures trading ideas with our principal futures broker and commodity trading advisor (CTA), Joe Fallico. • Exclusive market information and analysis. • Which markets to trade for proper diversification. • Approaches for taking profits and when to cut your losses. • Specific futures and options trading strategies. • Which markets may be best to avoid. Give yourself the Traders Advantage!